Total Outlook Converter Pro has always been one of our most popular apps. Many companies, particularly high-level law firms, use this software to convert outlook emails to pdf. Why? Well, when you need to keep official files, stored securely and with ease of printing, then you need that information as a PDF. This software is so total because it does more than others achieve. Most Outlook converters will turn the email into a PDF but leave the attachment in the original format. Total Outlook Converter Pro goes that valuable extra step, converting the attachment as well as the email to the same format. The time saved might be small when used just once, but the seconds add up when performing such a vital and repeated function. The package also allows you to migrate important emails to EML, which is a universal file that can be opened in other email applications, including Apple. In a continual bid to improve, this Outlook converter has been upgraded. 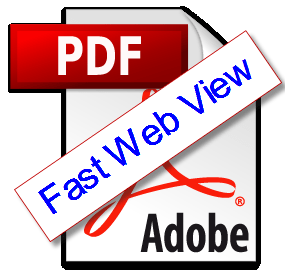 The new feature release will mean your PDF will be displayed much faster in your browser. The new feature: Optimize for Fast Web View, is designed for busy professionals who need to move quickly to record and store important emails and attachments. The upgrade allows for speed without compromising on the quality of the display of your document. This means you can even use it for critical graphical documents found in attachments, as well as all text emails. The feature does not change the document. It speeds up the viewing of the file by optimising the location of items in the PDF, meaning it can load more rapidly. Unless you select other options, the file is not compressed. Therefore, the quality is maintained. This is crucial for those professionals who need precision and accuracy in the storage of critical data. There is so much more to this converter. Not only will it turn PST to PDF, but it also allows you to add text such as a “Confidential” watermark or stamp bates. You can even rename the file with a number, specifically linked to your client. This app is the safe choice for your Outlook emails, allowing you to archive old emails in gigabyte batches, and now it is even better, with the fast display upgrade. The good news for those with a different mail package, CoolUtils plans the same upgrade to the Total Mail Converter, Total Thunderbird Converter, and Total Webmail Converter. We are always looking to improve the experience for our clients. Try the Total Outlook Converter Pro for free for 30-days to see how this upgrade makes a great package even better.